Linda Perry was featured in the March issue of Galore Magazine in their cover story title “Women Who Rock”. The magazine did an exclusive interview with the producer about her influences, ideas, and ways she’s making an impact in the music industry. Be sure to check out the article and keep up with Linda here. Posted March 17, 2013 & filed under Events, News. 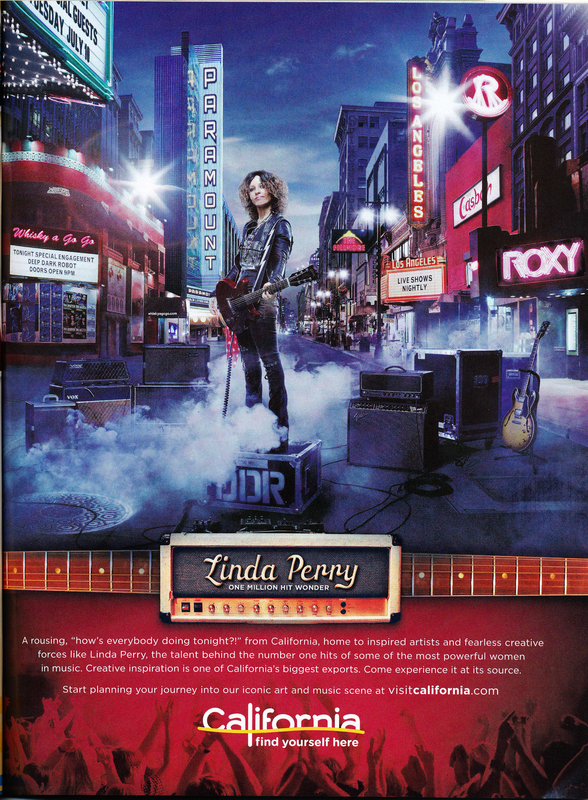 Linda Perry as the face of California in National Geographic Magazine.